I'm blessed with a lot of amazing people in my life, but this card isn't for any of them. Rescue abandoned rabbits and find permanent homes for them. Reduce the number of unwanted rabbits and improve bunnies’ lives by helping people better understand these companion animals. HRS was founded in 1988 and has rescued over 30,000 rabbits. They believe (as do I) that "it is in the best interest of domestic rabbits to be neutered/spayed, to live in human housing where supervision and protection are provided, and to be treated for illnesses by veterinarians. Domestic rabbits are companion animals and should be afforded at least the same individual rights, level of care, and opportunity for longevity as commonly afforded to dogs and cats who live as human companions. Rabbits are intelligent, social animals who require mental stimulation, toys, exercise, environmental activity, and social interaction (from, as appropriate, people, other rabbits, or other animals)." Trouble has changed our lives and made us better people and the HRS has been a big part of that. We will forever be grateful to HRS for educating us and for everything else they do. Follow this link to see the inspiration for my card. I love these SO much. Cut out an egg shape from the white cardstock. Holding it against the tan cardstock, cut out a tan egg that is slightly larger. 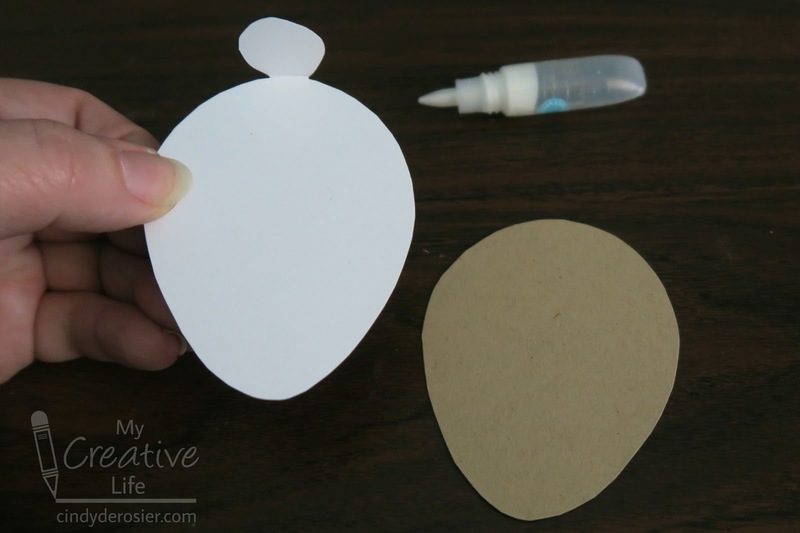 Fold a scrap of white in half and cut out a tail, making sure not to cut along the fold. Cut two matching ears. 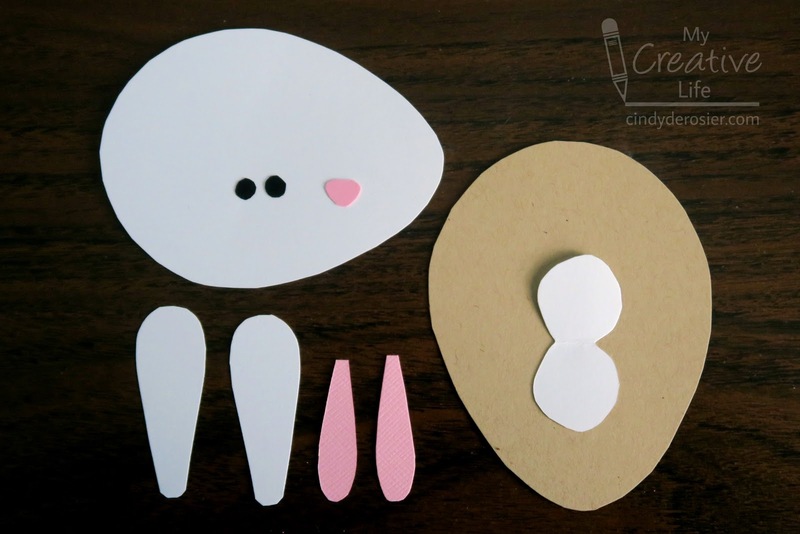 With the pink cardstock, cut two inner ears and a nose. Cut two tiny circles for eyes. Glue half of the tail underneath the wide side of the white egg, leaving the other portion free. Glue the white egg to the tan egg. Glue the eyes, nose, and ears in place. Add a sentiment, matting it with pink and tan cardstock. 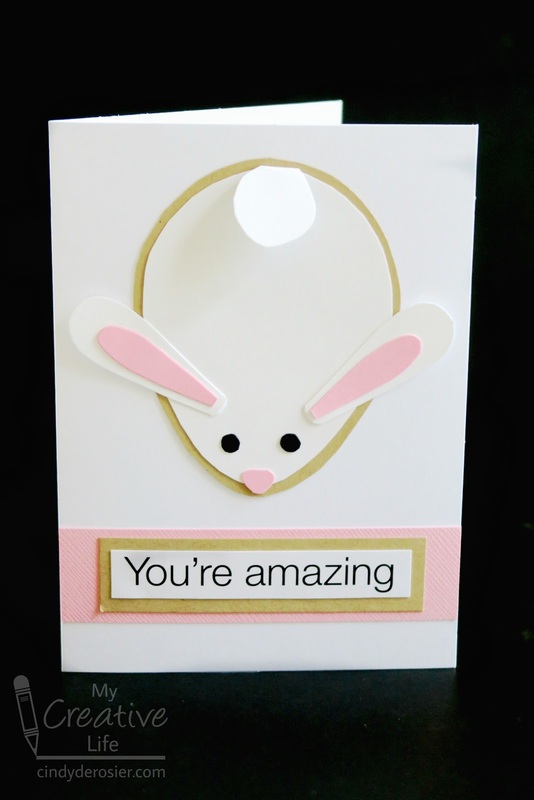 Glue the bunny and the sentiment in place. I've been browsing the bunny jewelry on Amazon again. So much cute stuff! Happy Bunny Week! Sounds like an amazing group! I love love love the card you made for them! That bunny is ADORABLE!!!! A friend of mine is considering adopting a bunny... I forwarded her the link to HRS. 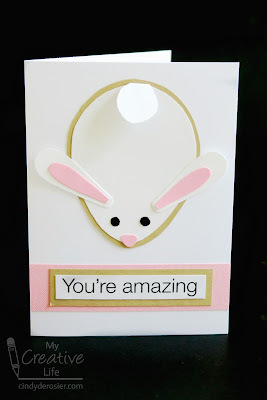 Thanks for sharing, and... cute card! Hahahaha! I was thinking if I had more time I would adopt a bunny. And a goat, and a llama.